I attended IMATS New York a little over a week ago and it was such an amazing and memorable experience. I had so much fun, and everyone at the event was so wonderful. I already can't wait until next year! Today, I am going to be sharing with you all what I hauled from IMATS. Stay tuned for upcoming reviews! Sigma: At the Sigma booth I picked up a couple eye brushes and the warm neutrals eyeshadow palette. I love the eyeshadows which are smooth and pigmented, and the eye brushes are top notch. Sigma had shopping bags available that contained lots of generous gifts and samples like a mini version of their brush cleansing glove, and travel sized eye brushes. I tried the cleansing glove and I must say, I really liked it. It did a nice job at making the task of brush cleansing a little easier. Lime Crime: I was so excited that Lime Crime made it out to IMATS New York this year. I have always wanted to try their products so three of their lipsticks came home with me-coquette, great pink planet, and d'ililac. These lipsticks are so beautiful. 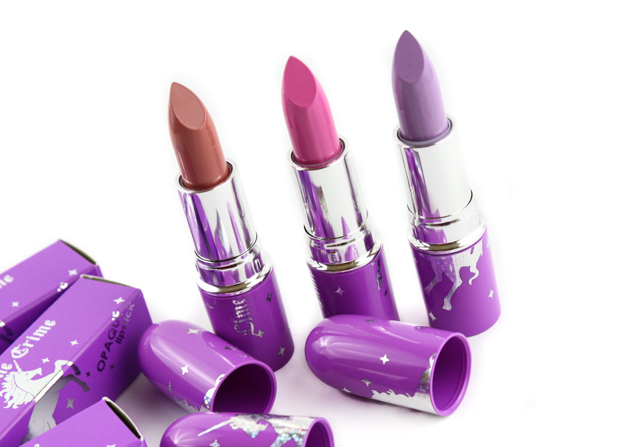 Not only are they smooth, creamy and pigmented, but the purple tube packaging is just precious. I am in love! Obsessive Compulsive Cosmetics: While checking out the OCC lip tars, I couldn't resist picking up mannequin and rollergirl, which are both part of their new plastic passion collection. These two colors are simply gorgeous, and I can't wait to sport them during this spring and summer season. 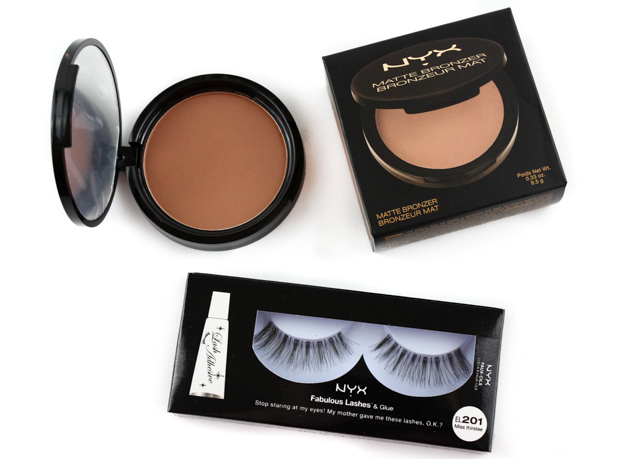 NYX: At the NYX booth I picked up their matte bronzer and a pair of pretty lashes. They were having some crazy deals going on, and now that I think about it, I wish I would have gotten some more stuff. At the low prices everything was going for, how did I not? LOL! Royal & Langnickel: I am a huge fan of Royal and Langnickel brushes. I think they are nice quality and they always get the job done. I got a few face and eye brushes, and along with my purchase I also received a free kabuki brush and pouch. 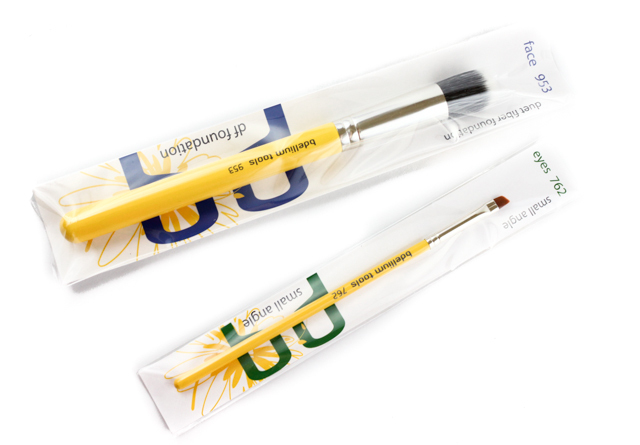 Bdellium Tools: At last year's IMATS, I picked up Bdellium Tools' small angle brush and it totally changed the way I apply my gel eyeliner. Now, I apply my eyeliner with ease, and the brush gives me lots of control. I love the small angle brush so much that I just had to get another one at this year's IMATS. Along with the small angle brush I also got the duet fiber foundation brush. It's really soft and it's a dream to apply my liquid foundation with. 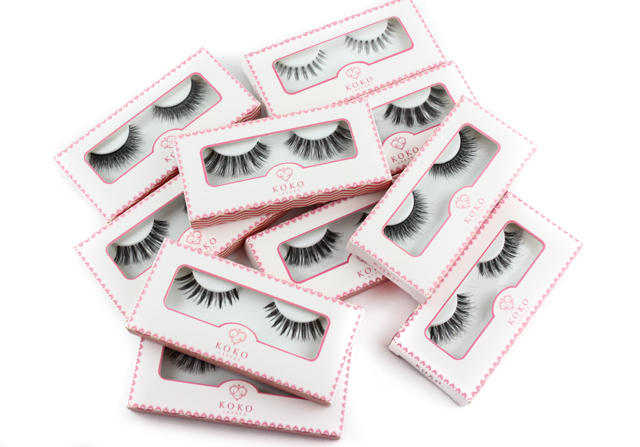 KOKO: I got these KOKO lashes from the Lady Moss booth. I love the styles, and the couple that I have tried so far have really impressed me. They are easy to apply, they look natural, and they feel so comfortable on. 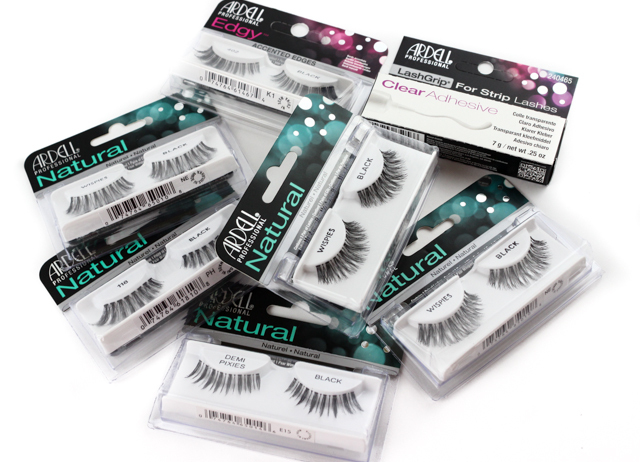 Ardell: At the Ardell booth I picked up more lashes. 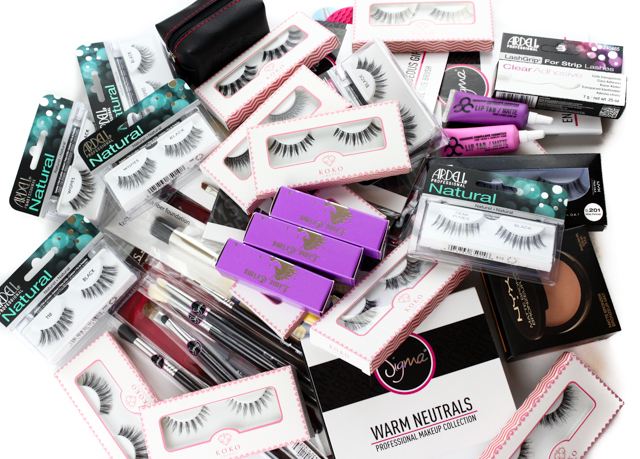 I think I am well stocked up on lashes for awhile. LOL! Ardell lashes are some of my favorites so I just had to get my hands on a few. I even got a free clear lash adhesive with my purchase! Have you attended IMATS before? How was your experience? Amazing haul! What a great bunch of make up stuff! Great haul! I hope to go to IMATS one day. Hopefully next year or the year after. It seems so much fun. That Sigma palette looks lovely! You are in for a treat, Lupe! IMATS is so much fun!!!! If I were in your shopping bad I'd steal that palette and all those amazing lashes!!! I haven't got anything from IMATS but that's because there's none here in asia! Those lashes and the brushes look awesome! Do review them soon!